Buy works – Sergeeva Nina Alekseyevna | (b. in 1921, Yuzovka, Ukraine - 2018). Sergeeva Nina Alekseyevna (b. in 1921, Yuzovka, Ukraine - 2018). 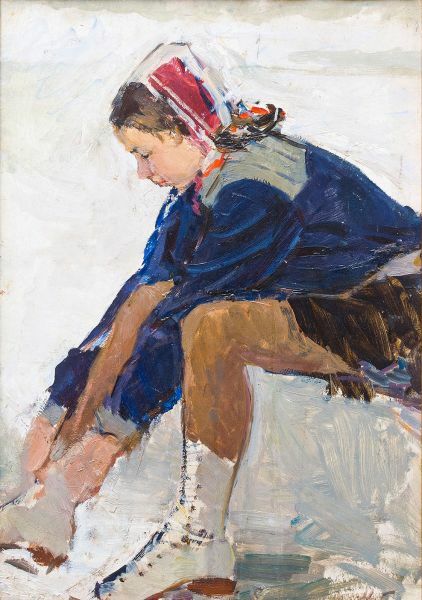 She studied in Kharkov Institute of Arts, in the Surikov Moscow State Institute of Arts (1945-1950) under P.Y.Pavlinov and I.E.Grabar; she executed her graduation project under the direction of V.P.Efanov. 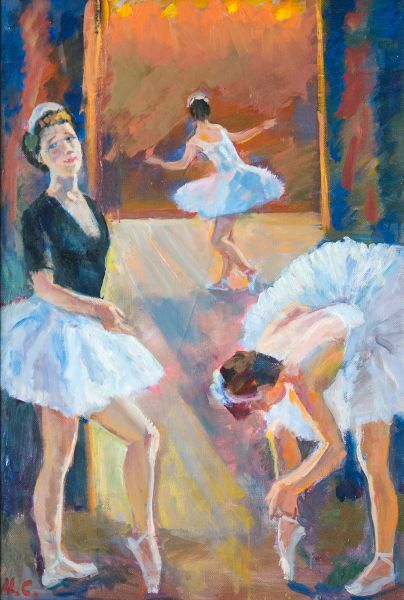 She participated in the All-Union Exhibitions of 1950 and 1951, celebrated in Moscow. 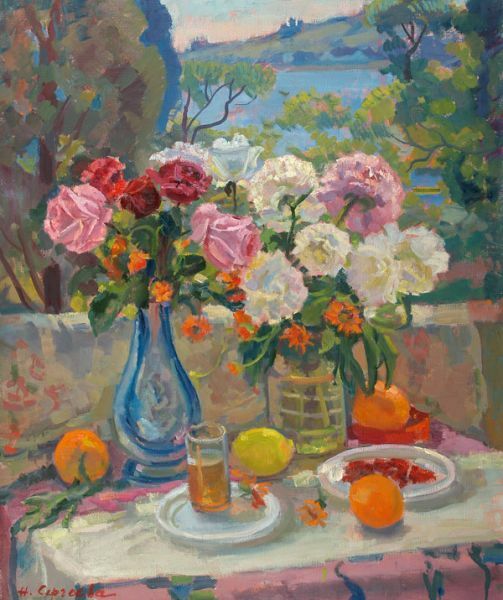 Sergueeva is a brilliant representative of the Moscow impressionistic school. The personal exhibitions of N.A.Sergueeva were organized on a regular basis in Moscow, Prague, Luxemburg, and Paris. The works by N.A.Sergueeva are kept in the Tretyakov State Gallery, collections of the Ministry of Culture of the Russian Federation, Museum of the Saint Petersburg Academy of Arts, in many regional museums, in the Ludvig’s collections in Cologne, in the New Picture Gallery of Munich, in other Russian and foreign private collections. Taurian still life. Autumn Crimea. The girls and the sea.